First Second free book give-away! 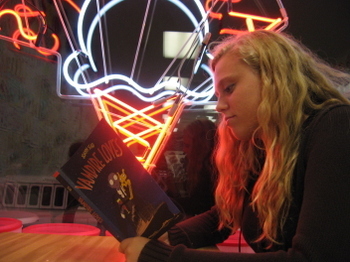 Send us your photo of yourself or someone you know reading one of our books! The ones we like best get posted here and you'll receive a First Second title of your choosing!